Earlier today I attended the 2012 Islamic Fashion Festival (IFF) at JW Marriott KL, organized by AMAED (Association of Muslim Apparel Entrepreneurs & Designers). Apparently I didn't get the memo cause I was so not dressed according to the tribal/safari/hakunamatata theme. Oh well, at least my necklace had hints of aztec geometry, ha! :D And thanks to the help of GPS, we managed to reach the event on time! Ma girls Ami & Shea. We sat right next to the stage and totally had the spotlight in our faces. me likes! lol. and please ignore my awkward expression. 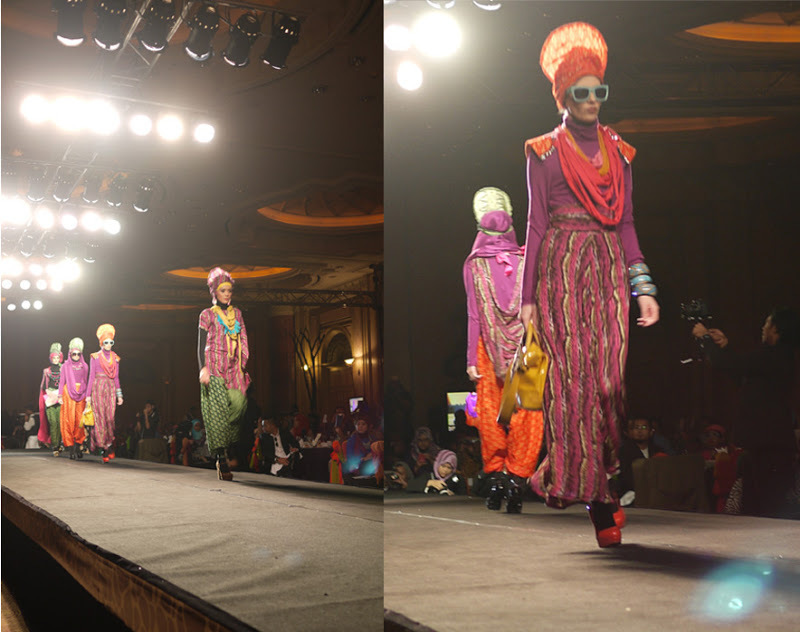 Super fly collection from AMMARA HIJABI. 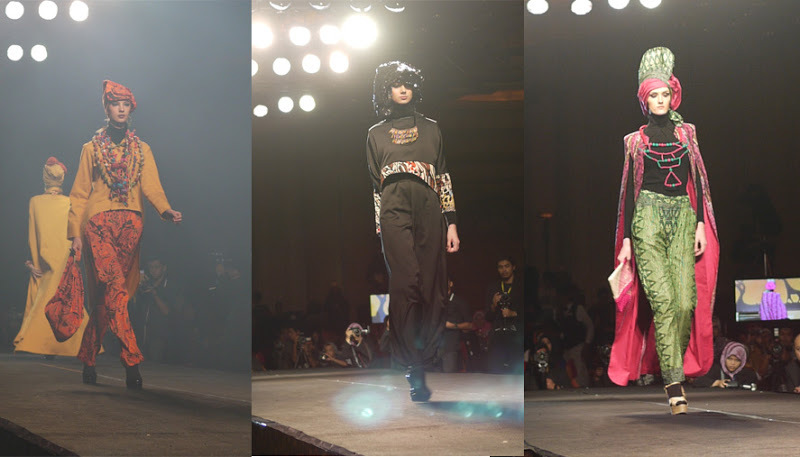 Looooved their collection the most!<3 young & fresh! I've gained so much weight:( gahhh need to get back to my workout routine!! kak aishah look awesome!! love your style!!! I left it in the the boot kereta maaa..huhu thwenks timmy! You look like Ginny Goodwin. Beautiful! Mashallah sister! I have to say, this is definitely one of your best outfit you put together. mashallah! they all women is cute looking.I like catwalk. this is a nice blog. Which I think is just amazing to have in this day and age. They better not get left out in the fashion world, and with these new releases I bet that they won't as these are just gorgeous. I'd love to show my ideas for this kind of fashion, I have a few in mind that were kind of based from these cheap adult onesies. waaaw I love your look ma sha Allah, the way you wear your hijab !! wonderful !! Thanks for the sharing. Excellent your Country Music Festival related goods information for online latest boot shop in australia .i'm agreed your blog information. Maxim Creation are one of the foremost organizations engaged in offering a wide gamut of Islamic Clothing for women. All these products are designed using supreme quality cotton and fabrics under the assistance of our skilled professionals. Modern Islamic Clothing Arabian Clothes Online High Quality, Stylish Muslim and Islamic Clothing for Women, Men and Kids a really good place to see all the different variations and interpretations of Islamic attire, Muslim fashion. YathribStore.com aims to bring Arabia closer to all around the world by providing affordable Islamic clothing and other Arabian through a user-friendly website implementing safe shopping measures and comes with customer support for an enjoyable shopping experience. Please tell me about Muslims Events Festivals In 2018-2019 to know about upcoming festival in Islam.